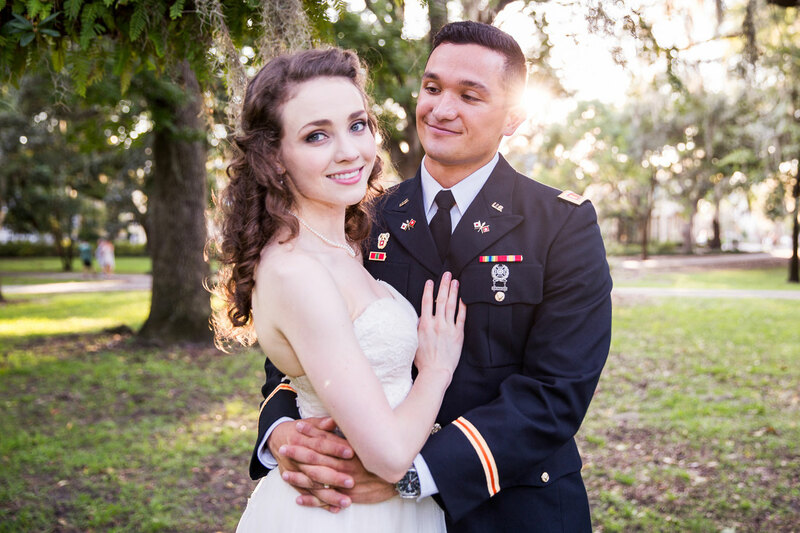 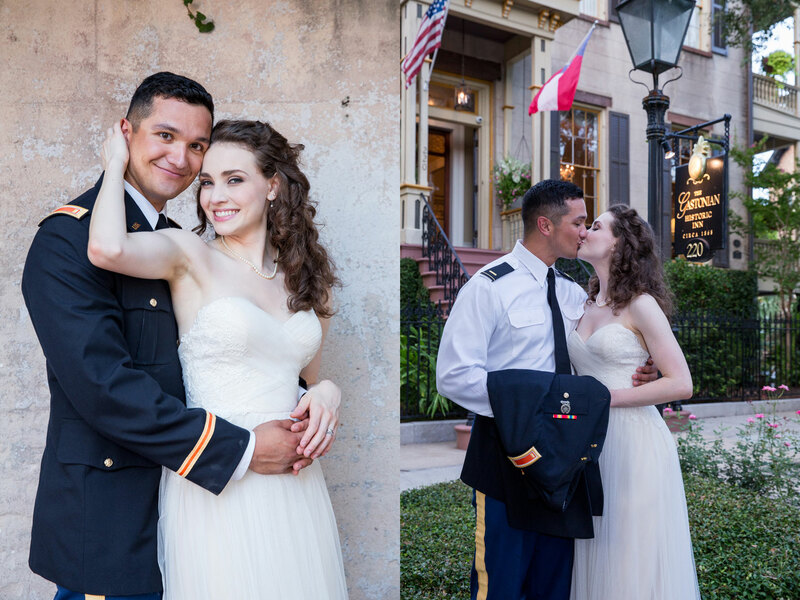 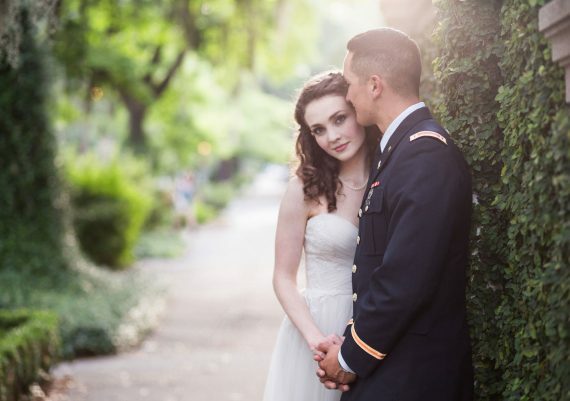 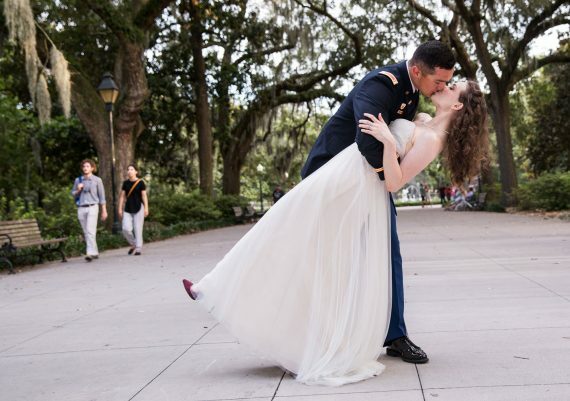 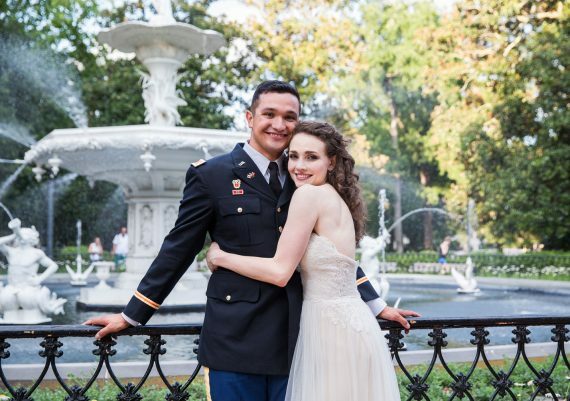 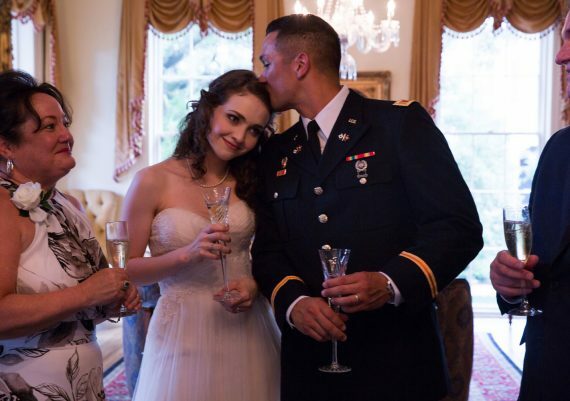 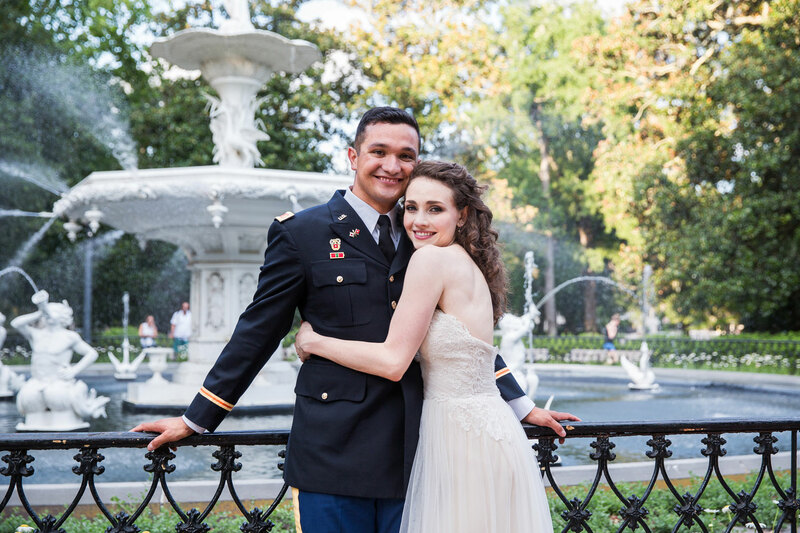 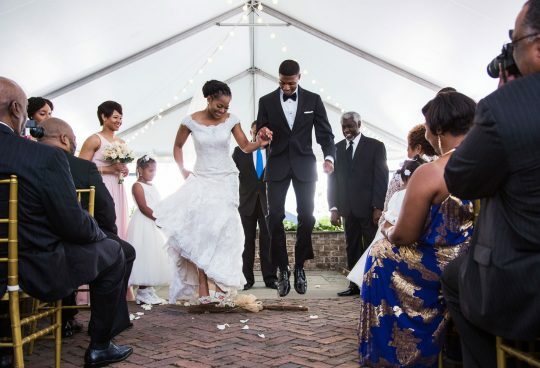 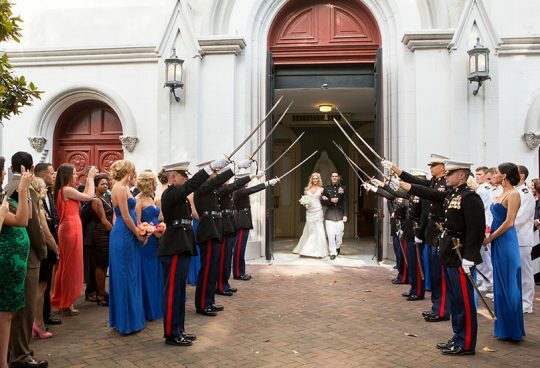 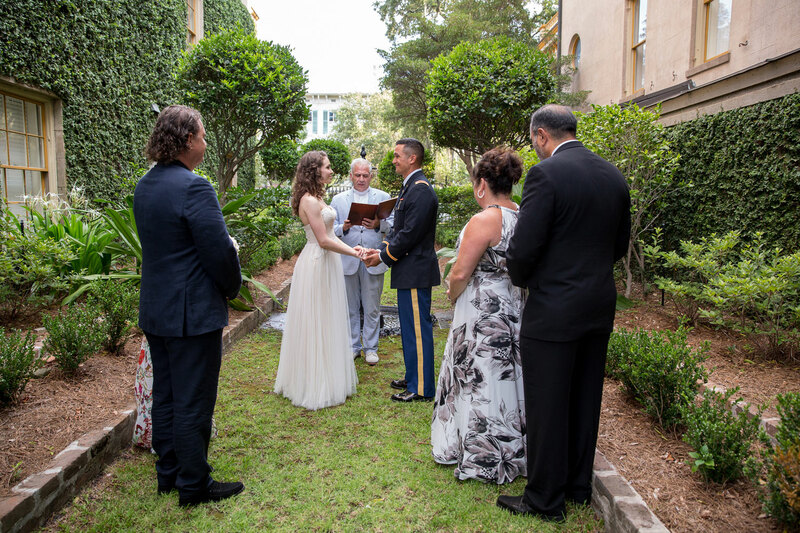 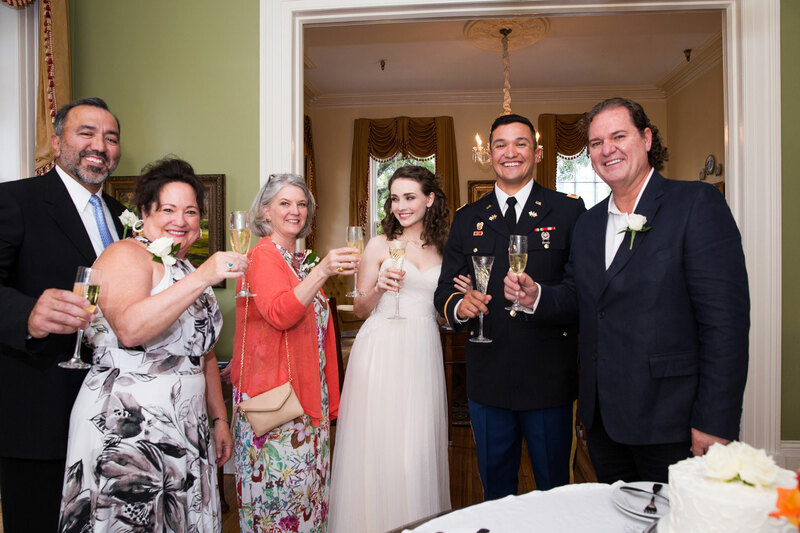 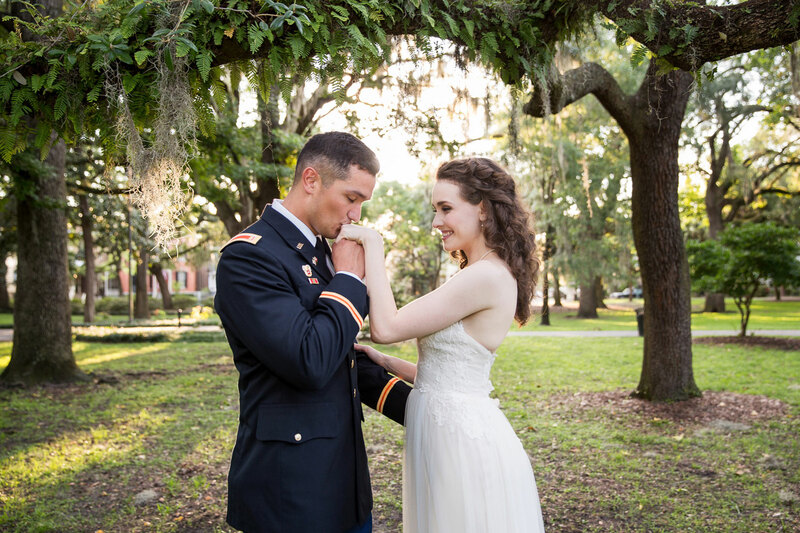 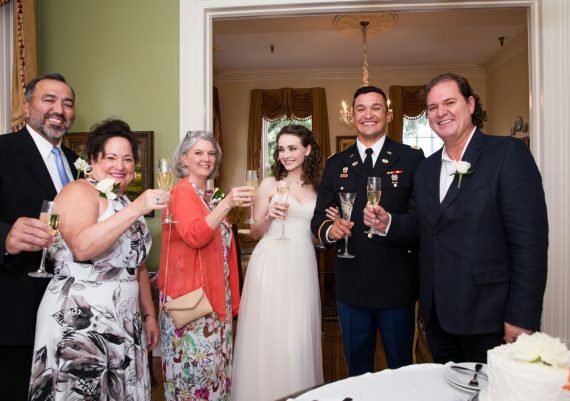 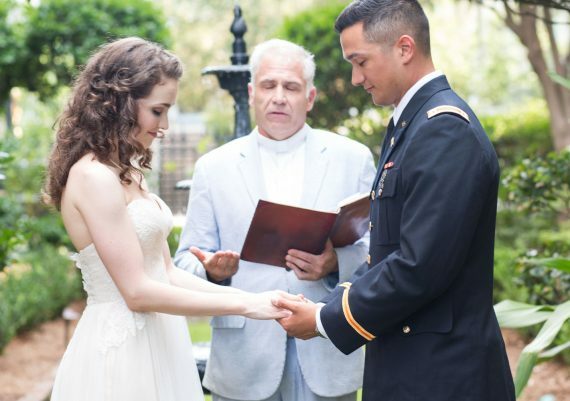 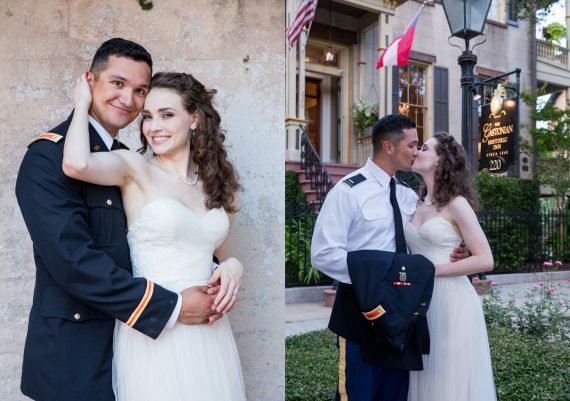 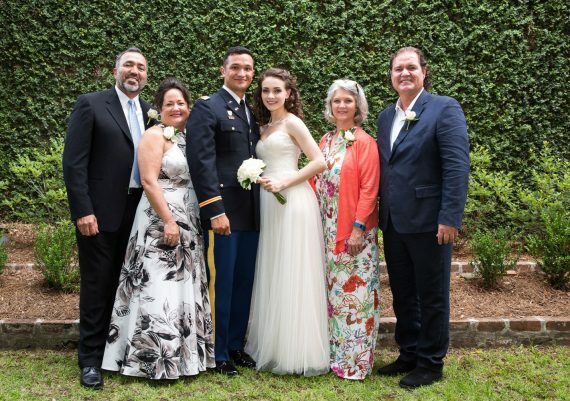 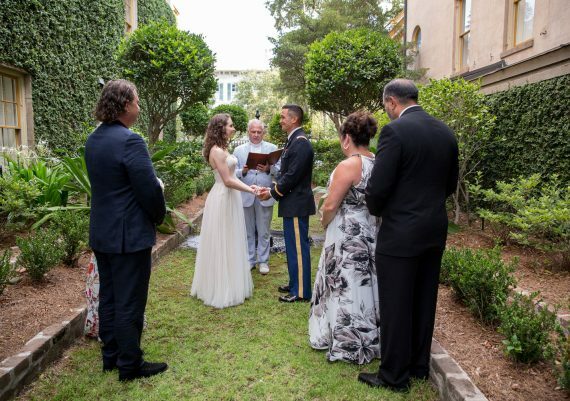 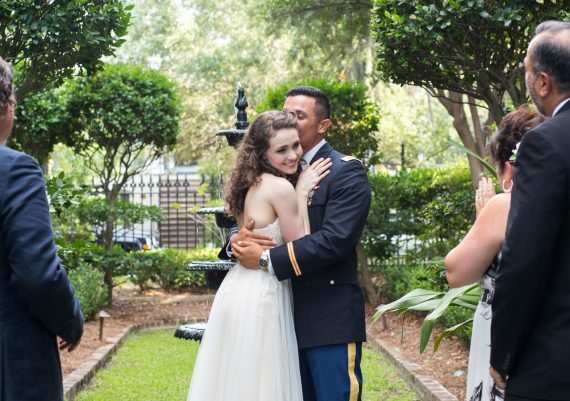 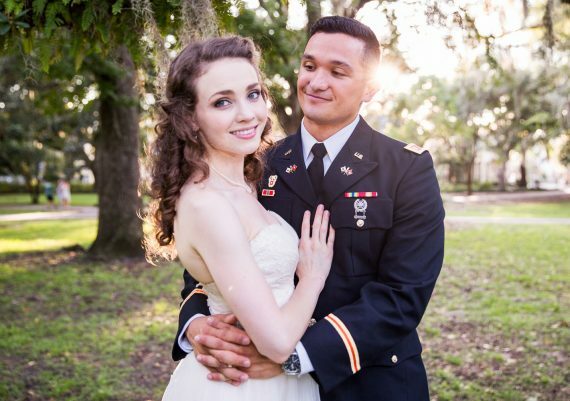 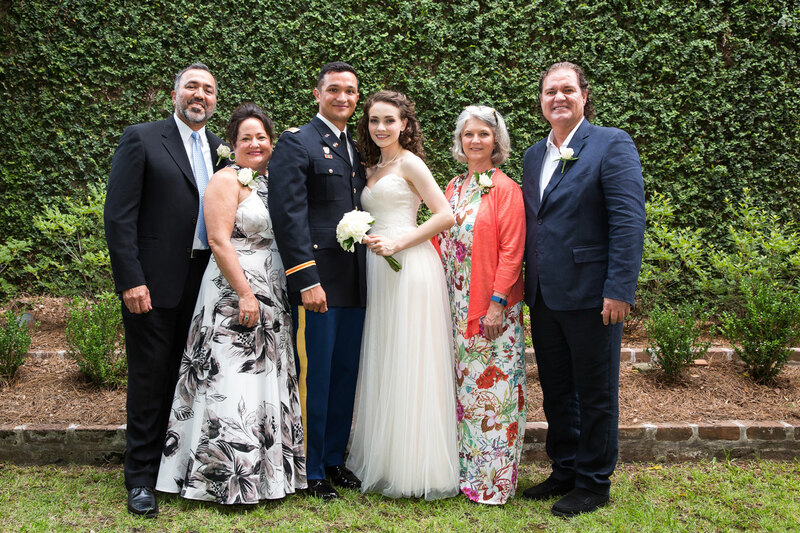 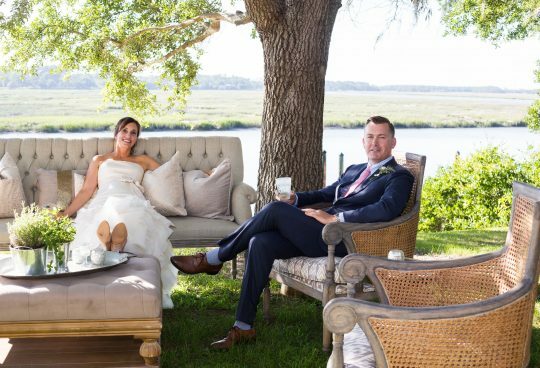 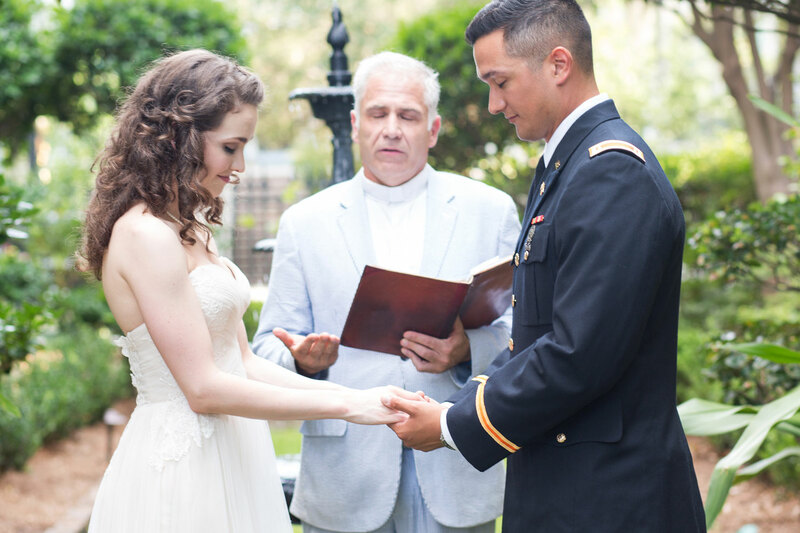 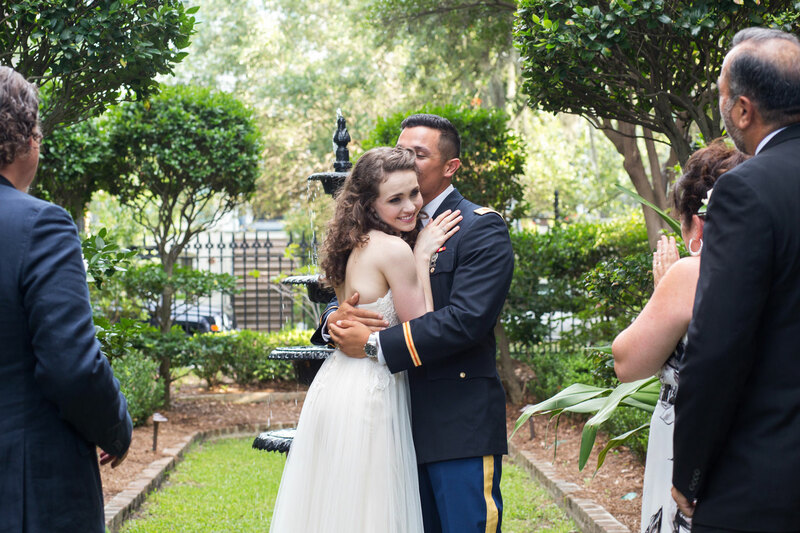 Erika and Connor were married by Reverend Steven Schulte in an intimate wedding ceremony, with just their parents in attendance, at the Gastonian Inn in July. 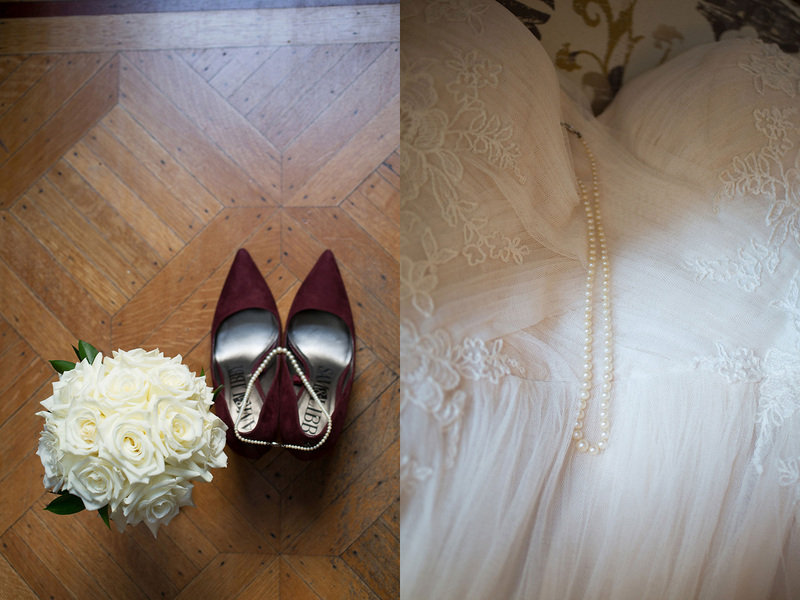 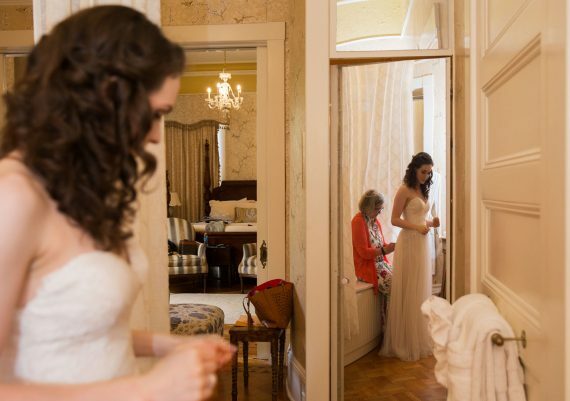 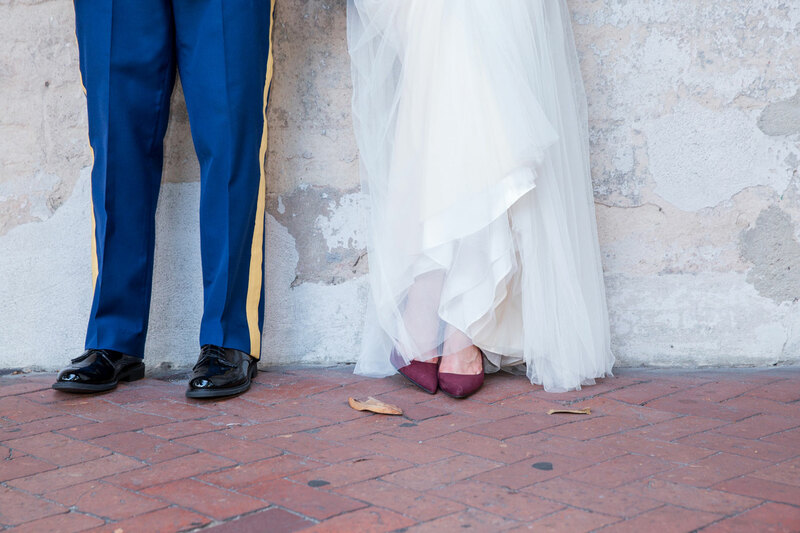 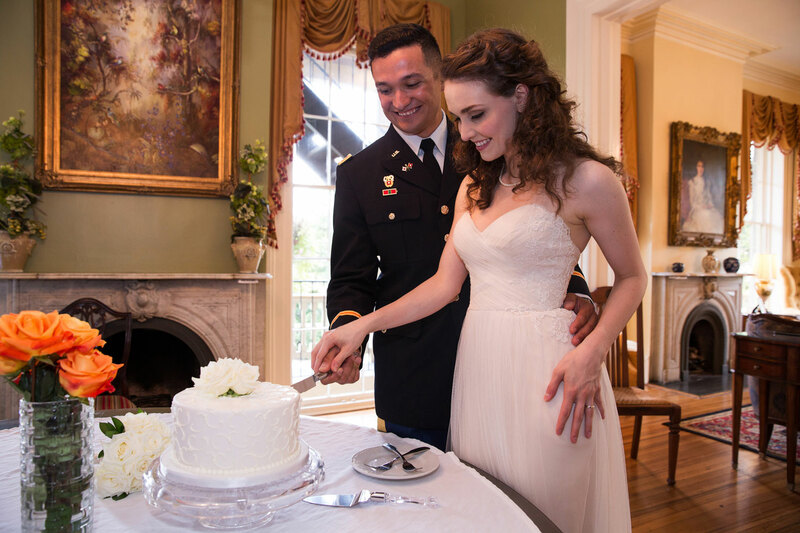 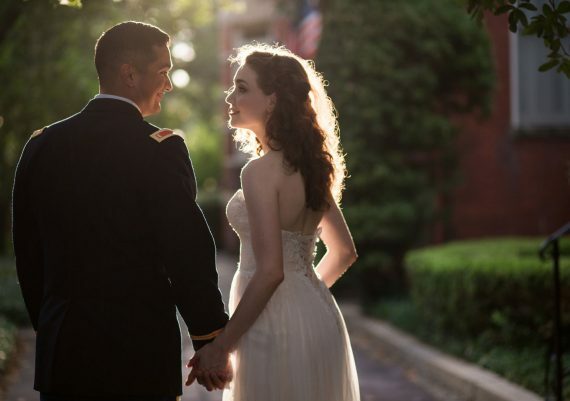 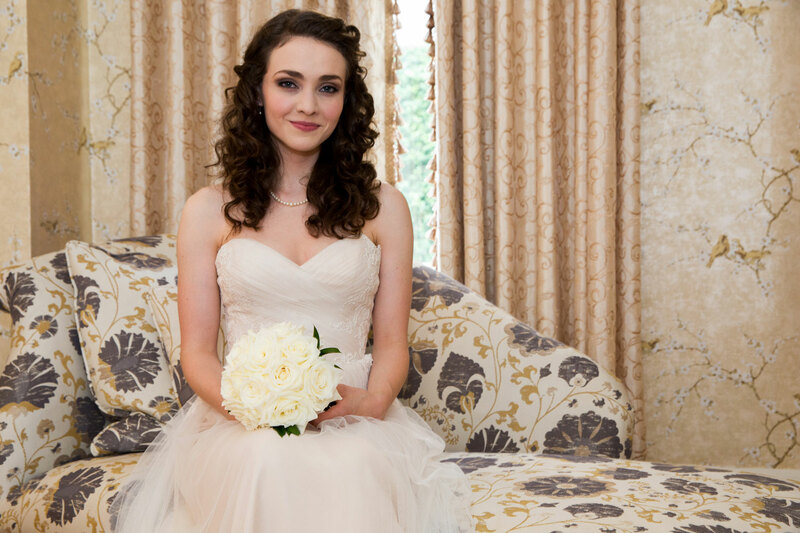 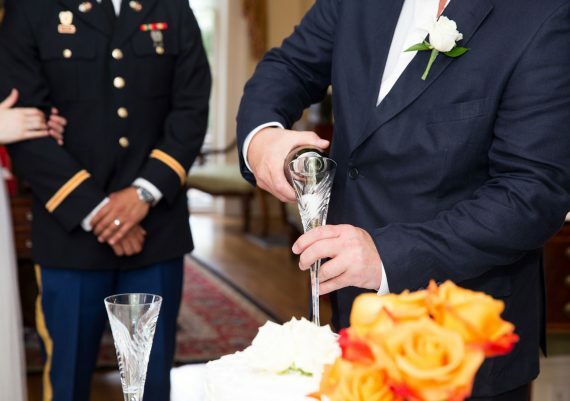 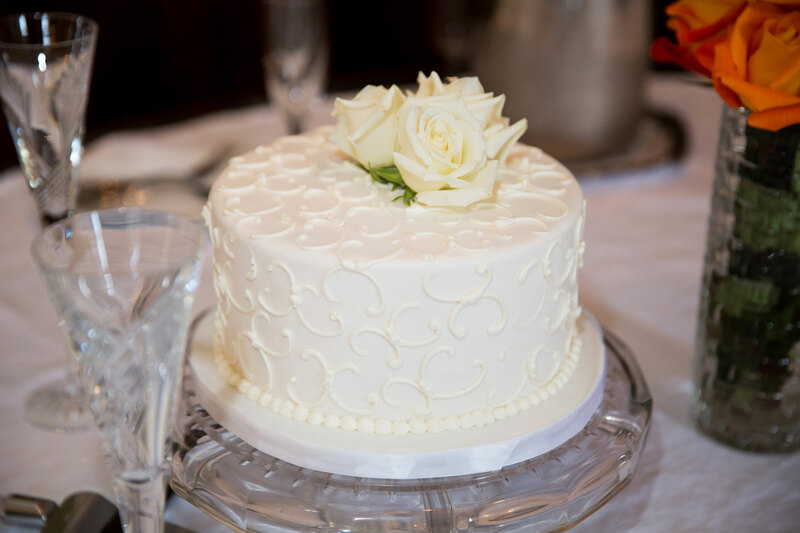 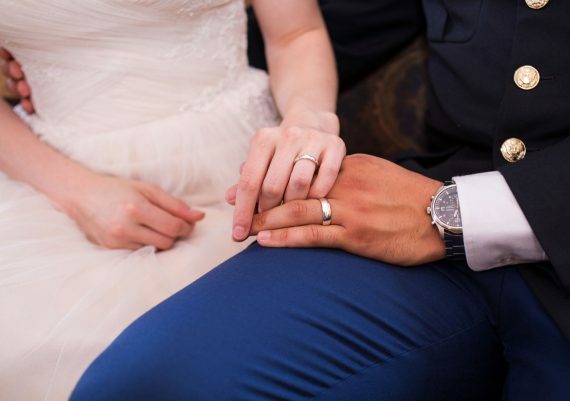 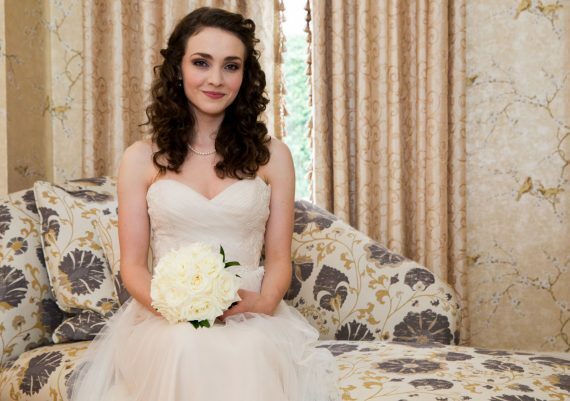 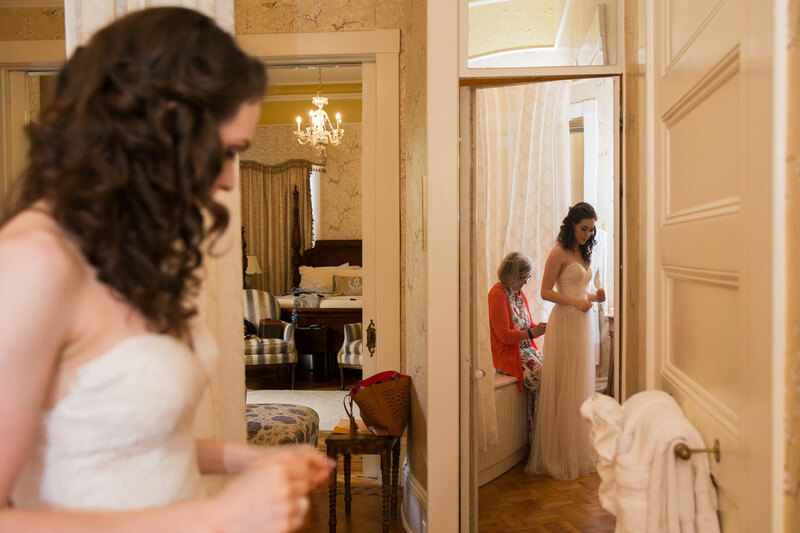 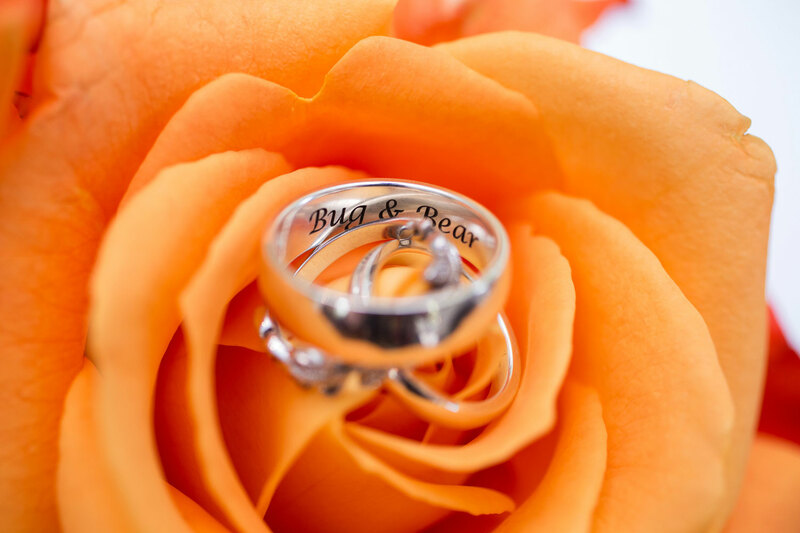 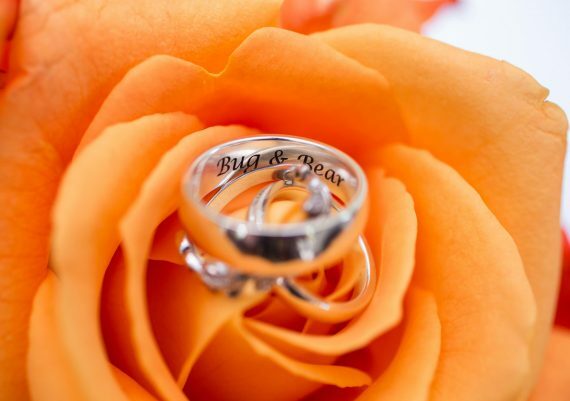 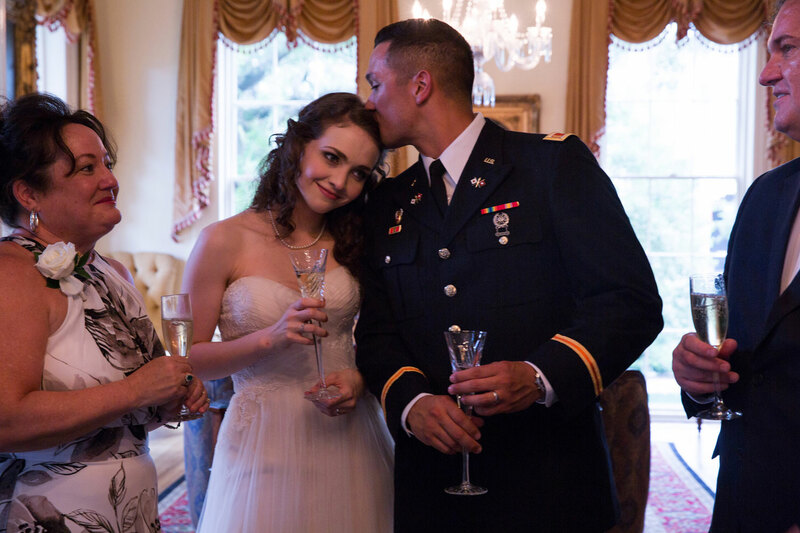 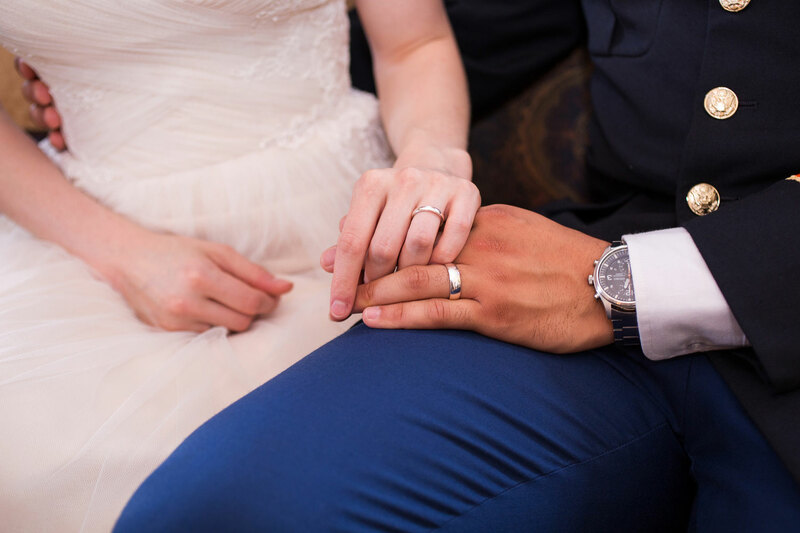 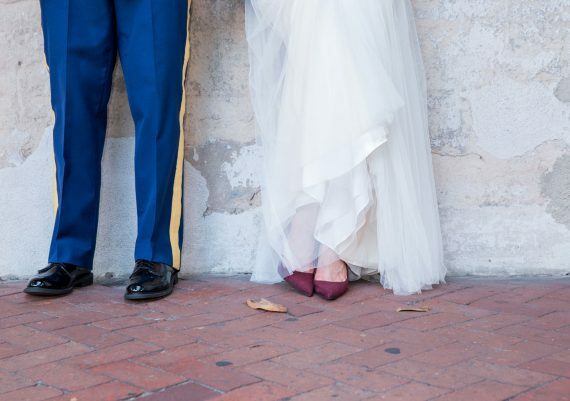 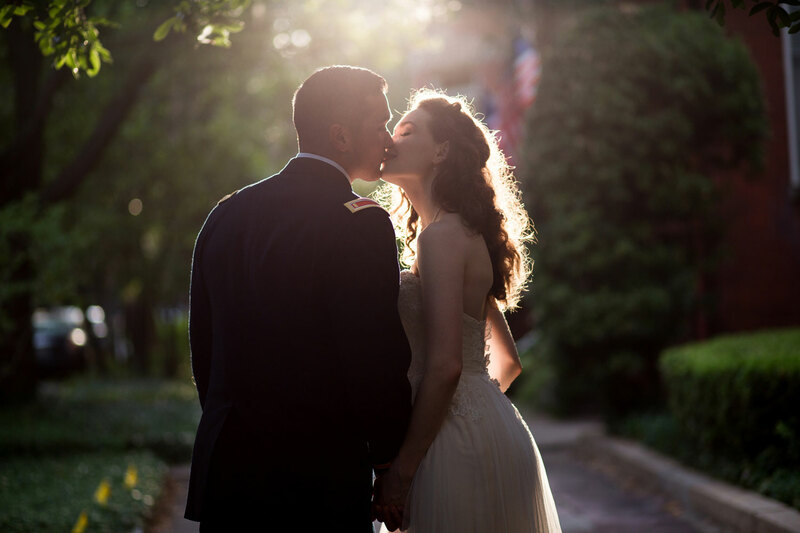 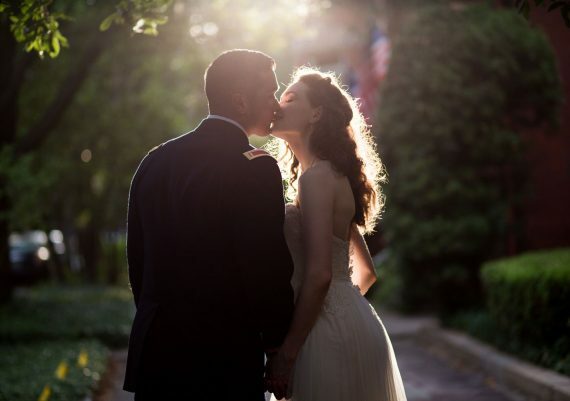 The Gastonian specializes in intimate weddings and elopements and arranged for a bridal bouquet, personal flowers for the family, and a small wedding cake. 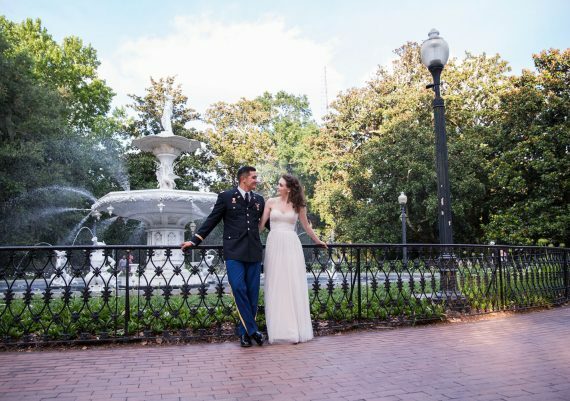 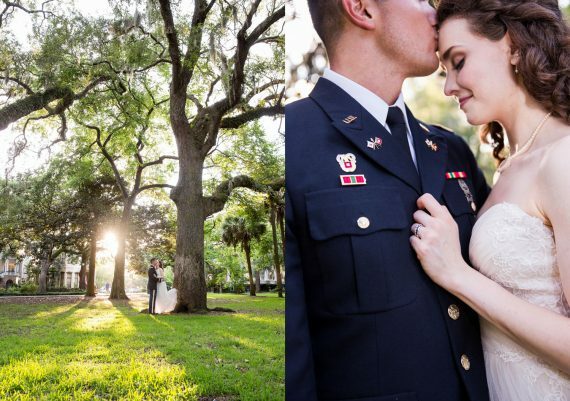 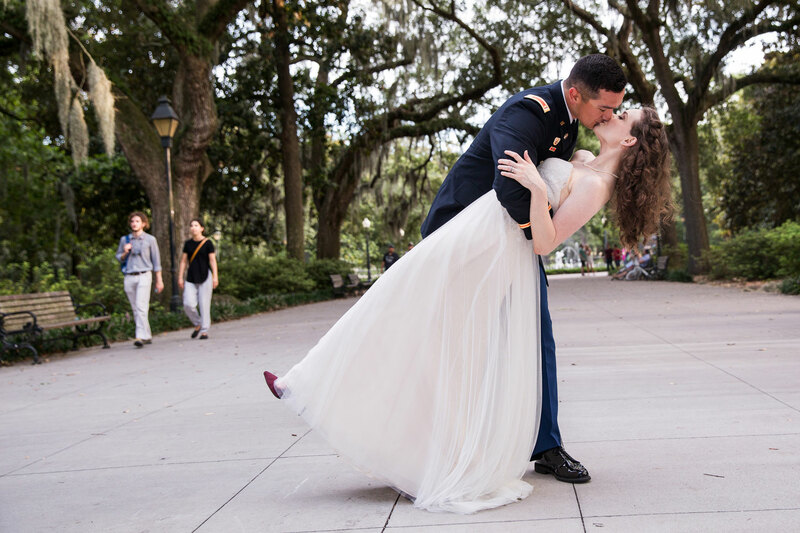 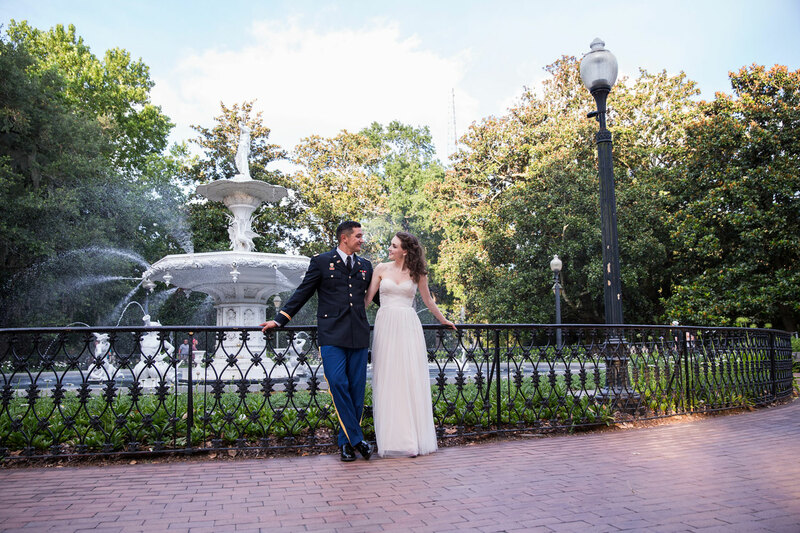 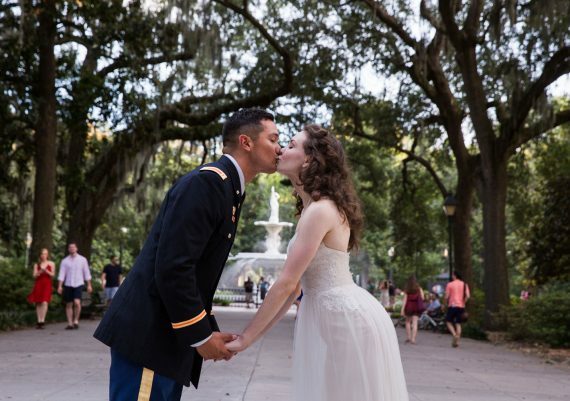 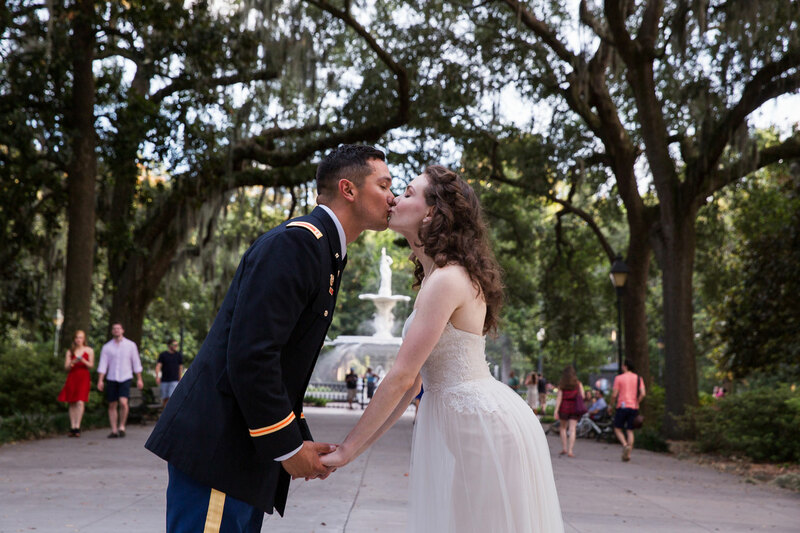 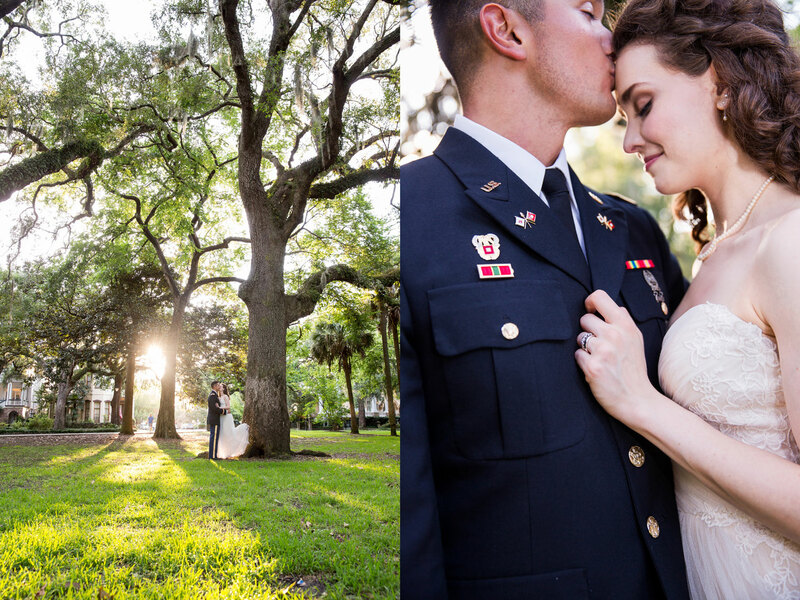 After the ceremony and a small celebration with their parents, we took Erika and Connor for a walk in Forsyth Park for portraits of the two of them alone together. 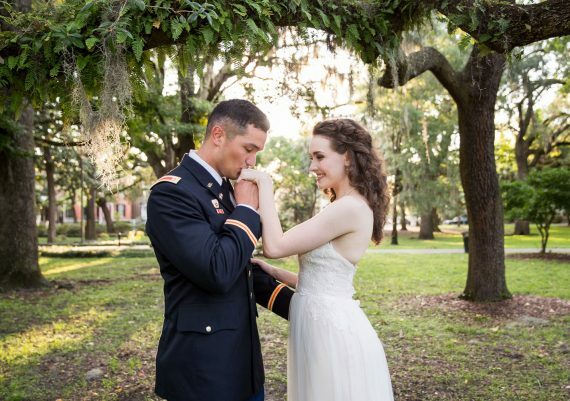 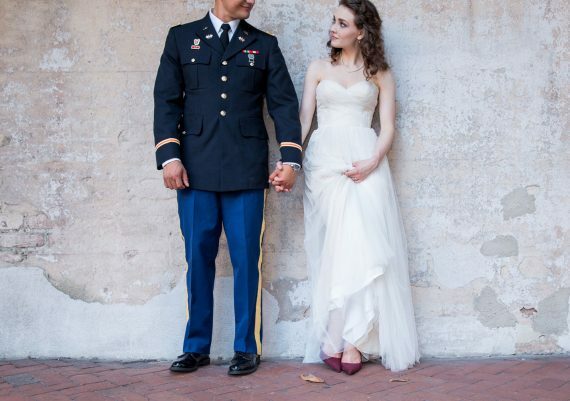 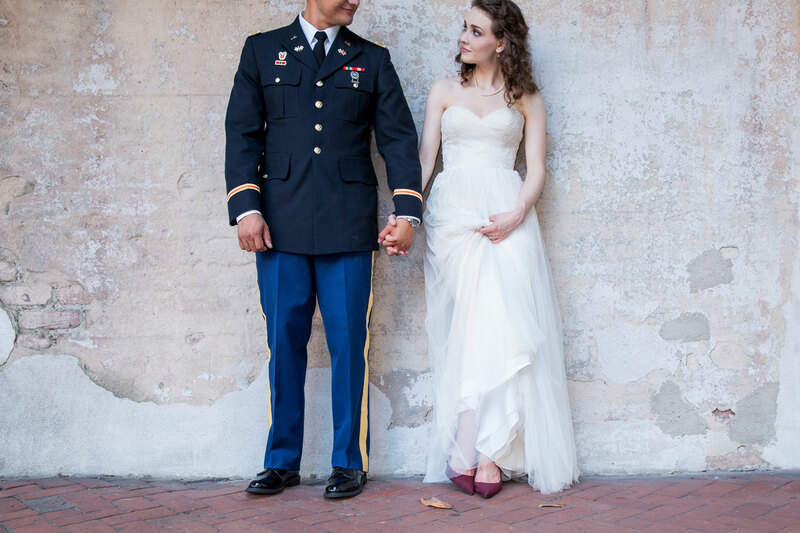 We of course extended our military discount to the couple, in honor of Connor’s service to our country.